Should you take a full commission job? This isn’t an uncommon question among sellers. So I want to give you some insights today into how you can be successful at it as well as some red flags. 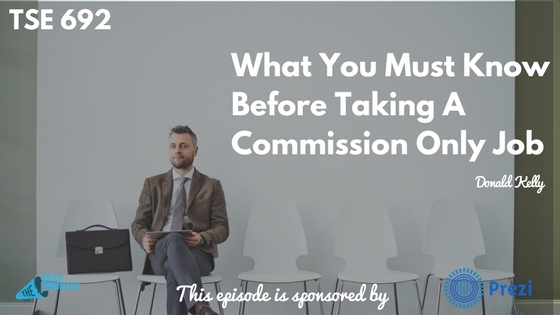 Here are 8 things you need to make sure that you understand and have agreed to before accepting your full commission job. Find out what the ramp up period is like or what is their process like. Do they have a manner for you to follow to sale? Or do you have to go in there and wing everything? They should have a process you can follow otherwise wining it will get you nowhere. 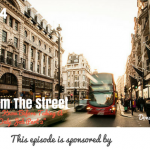 Will you get your own leads or will they provide them? If you have to get your own leads, it takes you three months to close one deal. You don’t know who the ideal customers are or where they’re hanging out. You have to learn industry information. All these you have to learn plus you have to find your own leads. So you have to go out and cold-prospect. Or you try to go to networking events. Well, they have to help you getting the leads They should have a process for that. Make sure they have clear goals and metrics for you to hit for your ramp up period. Get an idea of what their ramp up period is. Find out if they have key indicators you or they can use to gauge your performance – number of calls, amount of demo or appointments set, etc. Don’t go with word of mouth, especially if you’re working for a friend or family member. Make sure you get everything in writing. It’s not being hard-nosed but it’s being smart. It’s just business. It’s not personal. If they’re going to let you go, it may not be for a personal reason. Make sure you get everything in writing. Whatever the arrangement is, make sure everything is put in writing. Check out Glassdoor to find out from employees what they like about the company or whether the company has good reputation. Get whatever information you can about the company. Do they have current customers? Find out if they have a process for handling customer complaints. Otherwise, you don’t want to be wasting your time handling those concerns. Stay tuned for the last two things which I will discuss this Wednesday!